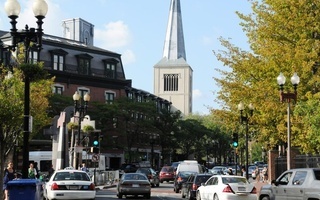 The University Wine Shop, located on Massachusetts Avenue, will soon move to new premises. 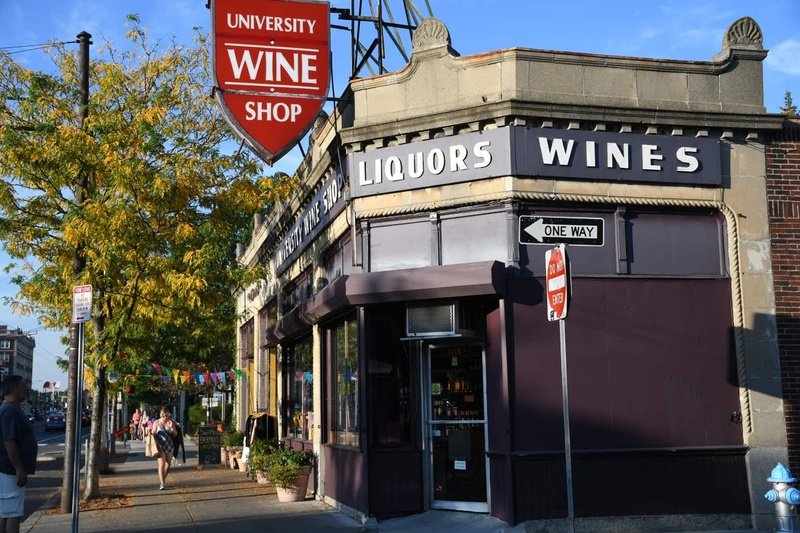 University Wine Shop, a favorite stop for party hosts in the Quad, will be moving one door down in November after high rents pushed the business out of its current location. The neighborhood wine, beer, and spirits shop has occupied its 1739 Mass. 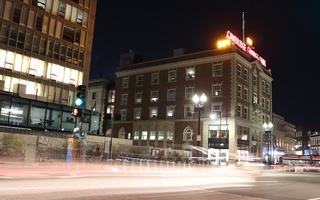 Ave storefront—located between Harvard Square and Porter Square, a convenient location for Quad-dwellers—for 30 years. Facing increasing rents at this spot, longtime owner Paul DeRuzzo made arrangements to move next door to 1737 Mass. Ave.
That storefront is currently occupied by boutique store Irish Imports, which will close this fall when its owner retires after 44 years in business. DeRuzzo said the management company that oversees the rent had been raising rents to the point where his shop could no longer survive. The property is owned by a trust and managed by Newton-based retail firm Myer Dana and Sons. Representatives from Myer Dana and Sons did not respond to requests for comments. DeRuzzo said he did “all the legwork” up and down Mass. Ave to learn the average rents, but that Myer Dana wasn't persuaded to lower his rent. After DeRuzzo decided to move, the management company advertised the rent at $65 per square foot per year—almost double the rent paid by other businesses along the street, he said. Lucky for loyal customers, though, University Wine Shop plans to move—just 15 yards away, but incidentally in a new zip code—over the weekend after Thanksgiving, when business tends to be slower. Despite the costs and logistical challenges of the move, DeRuzzo said there’s a silver lining. —Staff writer Alison W. Steinbach can be reached at alison.steinbach@thecrimson.com. Follow her on Twitter @alisteinbach.